Robyn Duell is a senior climatologist in the Long-Range Forecast Services team at the Bureau. Robyn is the team's lead in ensuring services are meeting customer needs – and hence she has played a key role in the delivery and development of climate services for Government, industry and the Australian community. Most recently this has involved leading the stakeholder engagement for implementation of an improved seasonal forecast service – including introducing a new high definition climate outlook model and forecasts for new timescales. Robyn has a strong passion for connecting everyday Australians with complex science – finding new ways to interpret and make climate science understandable, usable and accessible for all. 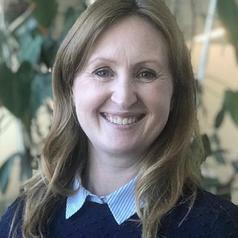 Robyn grew up in country Victoria before completing a Bachelor of Science (Honours) in Atmospheric Science at Monash University in 2002, and a Gradate Diploma in Meteorology at the Bureau of Meteorology in 2003. Robyn worked as a weather forecaster for both the Bureau of Meteorology in Darwin and for the UK Met Office in Exeter, England, before joining the Bureau's climate services team in Melbourne in 2008.